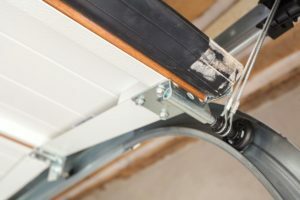 Garage Door Spring Repair - The Wright Door Co.
What to do if the springs on your garage door break. Lots of things happen can that can cause a garage door to need an unexpected repair, and we often don’t think about these things until they happen. What happens if your garage door spring breaks? Do you need to replace it right away? Can your garage door work with a broken spring? When do you need to replace the springs on your door? Luckily, we have the answers for you! Garage door springs have a life expectancy or an expected amount of up and downs that it should last. While you may think about the door itself or the opener, most people don’t often think about the other mechanical components until something goes wrong. Life expectancy of a spring varies company to company, with an average of about 10,000-12,000 lifetime opens and closes. The larger the wire size of the spring, the more cycles it can generally handle before breaking. The springs on your garage door will wear out – it’s inevitable, and like any other product, they will need replacement or repair at some point. Garage door springs are under a tremendous amount of pressure – meaning that you need to replace or repair your door springs if even one breaks. Having another operating spring will not be enough to safely operate your door. Just because one hasn’t broken, if you have one spring break, the other could also be on the way out. Either way, a damaged car or injured family member will be far worse than a simple repair. All our employees are trained to safely and efficiently complete any repair your garage door might need. If you need a spring repair job, give us a call. We have fast service, fair prices, and always do quality work. If possible, we will upgrade your springs to a larger wire size to ensure they have a longer life, so they can withstand the power and pressure of your garage door system. We have locations and technicians for garage door repair in Illinois and Missouri. Please contact us for more details!